Have you joined my International 100th Recipe Post Giveaway??? If not, do so now...you only have until July 12 to do so! 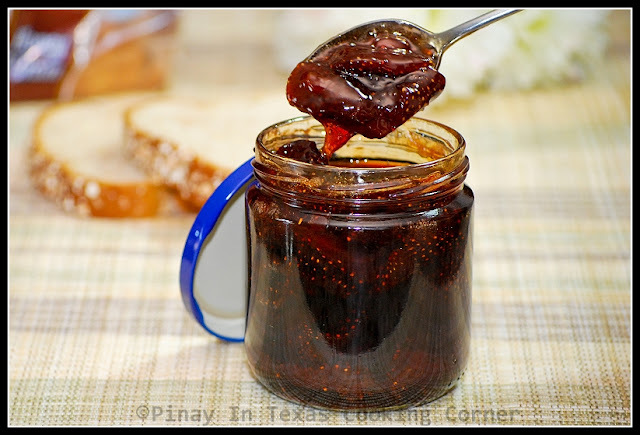 When I was a child, I've seen my mother make fruit jam many times, that is guava, mango, banana, sweet potato, and sometimes, strawberry jam (when friends bring us strawberries from Baguio City). It was really awesome watching her turn fruits into yummy jam that I used as sandwich spread, ice cream topping or just plain dessert! I know that for some, buying fruit jam from the store is a lot easier. But did you know that making it yourself in the comfort of your own home is very rewarding? Not only can you be sure that fresh fruits are used and there's no additives and preservatives in your jam, you can even sweeten it according to your taste! It can also be a fun activity for you and your kids! into this delicious jam! It's really simple...check it out! 1. Place an empty plate in the freezer. This will be use to test jelling. 2. Combine the sugar and lemon juice in a small saucepan and cook over very low heat for 10 minutes or until the sugar is dissolved. 3. 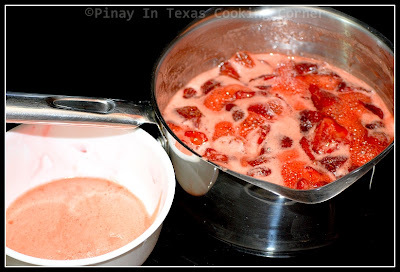 Add the strawberries and bring to a full boil and cook until the strawberries release some juice, stirring frequently and skimming off any foam. 3. 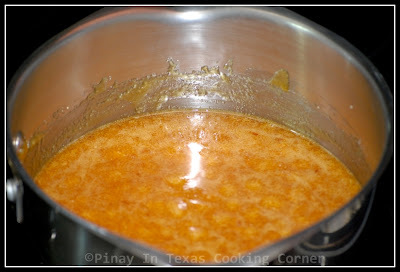 It's done when it becomes slightly thickened and a teaspoon of jam begins to jell when dropped on a chilled plate, that is, after about 20 minutes of boiling. (Run your finger through the jam on the plate. If you can make a line through it and it doesn't try to run back together, it's ready. Remove from heat and allow to cool down a little. 4. Pour carefully into sterilized jars and either seal or keep refrigerated. 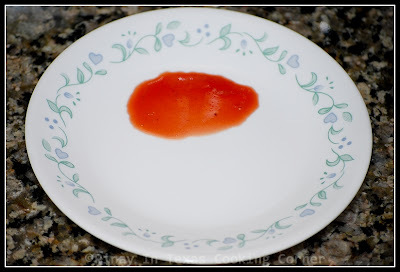 I knew that my strawberry jam won't last long so I didn't bother much with processing. I just put it in the refrigerator after letting it cool completely. For long term storage, see the tips below. 1. For long term storage, mason jars with dome lids should be used. Before filling with jams, pickles or preserves, wash jars and lids with hot, soapy water. Rinse well. 2. Arrange jars and lids open sides up on a tray making sure they are not touching each other. Leave in a preheated 175F oven for 25 minutes. 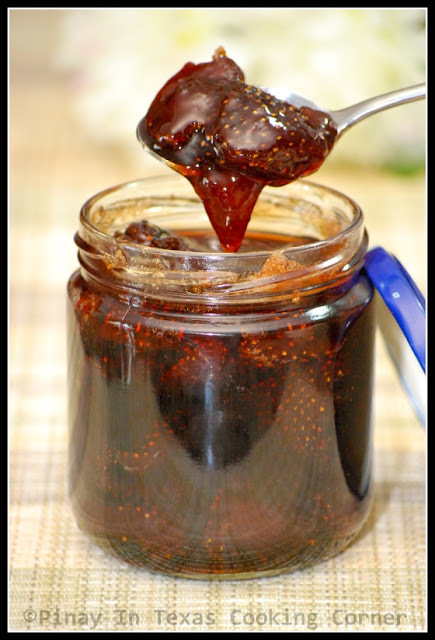 Using thick oven mitts or tongs, remove each jar from the oven onto a heatproof mat or heat pad, making sure you fill while the jam or preserve is hot as is the jar. (When using tong, sterilized tongs too before using by dipping the ends in boiling water for a few minutes). As a rule, hot preserves go into hot jars and cold preserves go into cold jars. 3. Leave jam to settle for 15 minutes before sealing. Wipe the rim of the jar clean with a damp cloth. Place a hot dome lid onto the filled mason jar. Screw a dome lid ring onto the filled and lidded mason jar as hard as you can. 4. Store sealed jars in a cool, dry, dark cupboard. Once opened, store in the refrigerator and use within 6 weeks. Those are the best looking strawberries I've ever seen! Making jam can be quite fun and it is always great to give as gifts. It is even better when some of the ingredients come from your own garden. 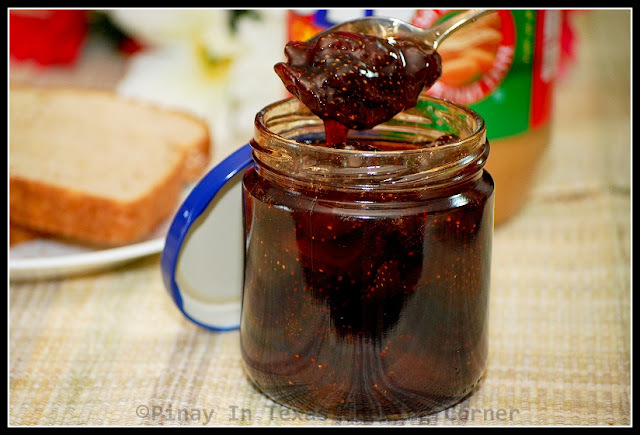 Strawberry jam is one of my favorites, yours looks awesome-great pics. Oh your jam looks heavenly! I love it and your method sound so much fun! Delish! No more store-bought jams for me - this looks so easy. Great recipe, thank you for sharing. 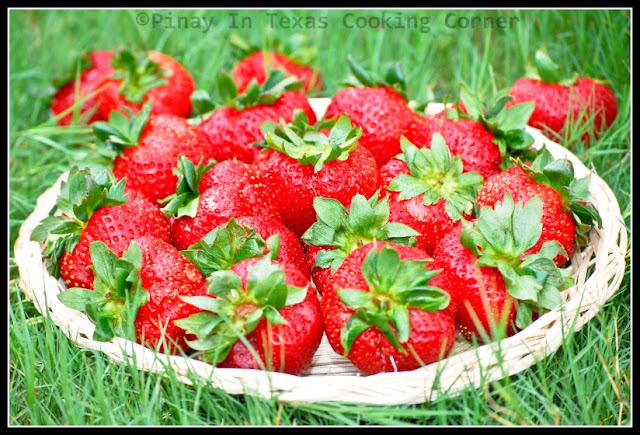 I've been enjoying fresh strawberries from our garden. Thank you for your VB friendship. Hugs! I've never made jam before. It's silly but I feel like I can't waste fresh fruits for jam. Isn't it silly because I do use jam.... doesn't make sense. I guess I just don't want to see fresh fruits going to become jam. But I bet they are much tastier and healthier (less sugar). Wonderful tutorial!